If you’ve got tools and equipment, you’d most probably store them in a car garage but you’d most likely not want to build your project there. With creativity and proper organizations skills, however, you can actually turn your extra space into an ultimate steel garage workshop you can be comfortable with. Since it has the advantage of isolation, you can do the things you are interested in without annoying your household members with the noise and mess you produce. There are some instances when a workshop and a car garage are mixed in one space. If you’re looking at building a home auto shop, you might want to consider redesigning the layout in such a way that you get the best of both worlds – a garage space with personalized workshop. A garage typically refers to a building that serves as a shelter for your car. 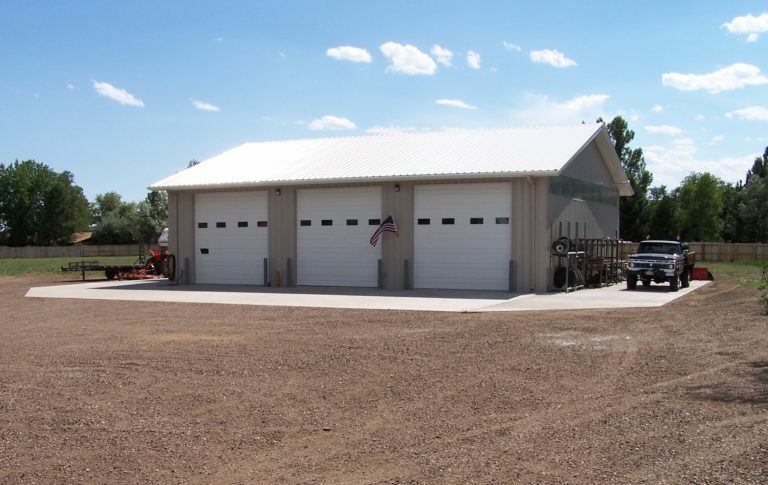 If you’re looking at protecting a fleet of company cars or a personal car collection, or you merely would like additional space for the vehicles you utilize everyday, a steel garage could make a very fine option. A workshop is sometimes closely associated with personal projects. It is usually used by mechanics, carpenters, artists, and engineers to draft plans, build and refine projects as well as store tools, materials, and equipment. If you need extra space to store supplies other than your car, a steel workshop is possibly the best solution. 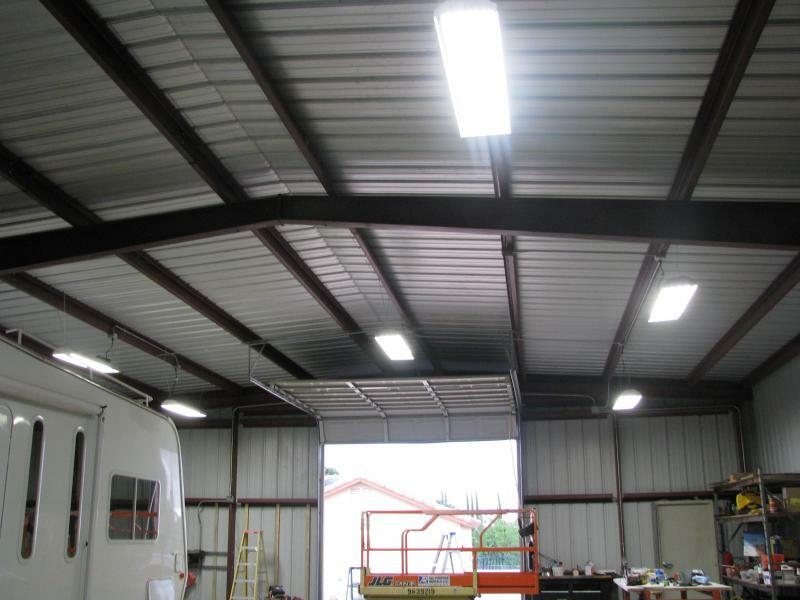 In areas with more temperate climates, steel garages usually make better workshops than basements. If you want it ventilated, you can just simply roll the machinery outside or open the garage door. 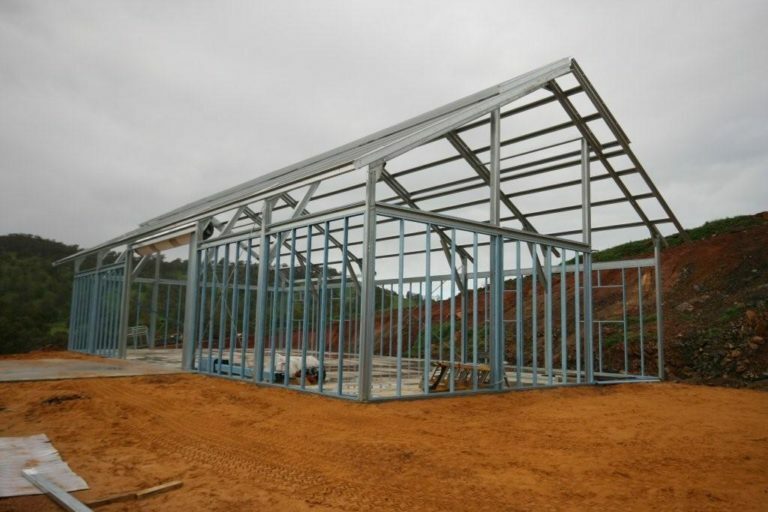 Moreover, steel garages usually have high open trusses or ceilings which allow for easy maneuvering of larger tools and create taller projects without worrying about overhead restrictions. Building a garage or workshop space alone can add up to 13% to your home value. Just imagine how much reward you could get by simply combining the two in one space. Some even would turn their existing garage into an extra room or a new living area. Whatever you intend to do, a garage can be an untapped gem waiting to be discovered. When building your garage or workshop, it is important to think outside the box. The priority should be an ample space for storage. The last thing you’d like to happen is building a new garage or workshop but only to find out it cannot accommodate all the things you need to store. Experts advise that an additional six feet to the width of your steel garage could result in significant storage space right after where you place your tools or park your vehicle. 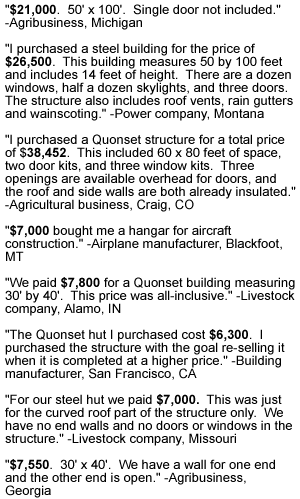 Moreover, an additional six feet is already sufficient to append a 3070 man-door beside the sectional door or the roll up. To build a mancave, meanwhile, make sure every functional detail is cemented before personalizing your space with anything from computers to speaker systems and other gadgets. Adding width to your steel garage is one necessary step to give ample space for your workshop but it does not constitute the whole picture. Below are things you need to do to build a successful steel garage workshop. Schedule a garage sale. It’s time to say goodbye to your long-held stuff and make way for the new. Holding a garage and sticking to the date will not only help you get rid of stuff you no longer use while earning some money to buy new tools or organization materials. Get things of the floor. It will not only make your workspace clean but also safe. Getting things off the floor help you avoid tripping and makes it a lot easier to spot items when they are neatly organized and hanging on the wall. Purchase tool storage. Tools are a primary investment and hence you need to protect them with a premium tool chest. Make sure they are nicely organized and as much as possible lockable. Setup ample electrical outlets instead of using extension cords. Make sure to also place electrical outlets for a heater, AC units, televisions or radios, and lighting. As much as possible, hire an electrician to help you plan and install the power outlets. Upgrade your lighting. Chances are, the garage lighting was actually not amongst the primary consideration when the homes were built. Since you’d now be using it not only to park your car, it is necessary to upgrade your lighting. Insulate your garage. As much as nobody wants to work in a sauna, you’d most likely not want to wear a heavy coat while working too. Give your steel garage floor an epoxy finish. Doing so will not only allow for easier cleaning but also provides extra grip.